While most of our patients and clients approach us to reduce their weight and for treating complaints associated with Obesity,but we also get Clients who come for Gaining weight too. Sometimes it is much more difficult to gain weight than reducing it, and the solution is not to merely eat more food. The types of foods you consume have a direct effect on mood, energy, and overall health, so be sure you are making wise choices. You want to enhance lean muscle mass, not your fat cells. You will need to up your calorie intake in order to put on weight, but you must use caution. Simply eating more high-calorie junk foods such as ice-cream, fried foods, and candies will only drain your energy and make you feel awful, not to mention contribute to heart disease and diabetes. The objective is to choose higher calorie foods with the most nutrients. Avocados, raw nuts and seeds, nut-butters, dried fruits, and whole grains can give you increase in weight. It may be due to the genes. Parents or one of the parent has the nature of not gaining weight even though the person involves in any type of food habits or regimen. So this will be inherited by the offspring also. There may be some problem because of which the person’s intestine may not be able to absorb the essential materials or end products of digestion which in turn results in malnourishment thus leading to underweight. The individual may not be in the state of having enough food due to some causes like for eg- some get indigestion if they have even a little extra food, or may be suffering from irritable bowel syndrome, or colitis or something like that. The person may not be involving with correct habits or exercises to get the food digested well, assimilated and the good part of the end product of digestion to be absorbed to meet the body needs. - last 1/3 rd must be left vacant for the air to circulate and aid the digestion. Tips to gain weight for skinny guys. 1. Track Calories. Skinny guys often overestimate what they eat. Read the labels, use a food scale and track your daily caloric intake. You need at least your body-weight in lbs x 20kcal daily to gain weight. 2. Eat Every 3 Hours. You need at least your body-weight in lbs x 20 kcal to gain weight. That's 2700kcal/day if you're 135lbs. If you have a physical job or move a lot, you'll need even more. Eat every 3 hours. Breakfast. Get calories from the first hour. Read how to build the habit of eating breakfast and try these breakfast recipes. Lunch & Diner. Prepare double portions while making breakfast. 1 portion for work/school, 1 portion when you get back. Post Workout. Physical activities burn calories. Eat post workout to get that energy back. Check this post workout shake recipe. Pasta. 100g pasta is 380kcal and easier to ingest than 100g rice. Whole grain pasta is healthier, but takes longer to digest. Eat white pasta. Whole Milk. If you don't bother gaining some fat, drink 1 gallon whole milk per day on top of your current food intake. I've seen guys gaining 60lbs/year drinking 1 gallon per milk per day while Squatting 3x/week. Nuts. Mixed nuts & natural peanut butter have +500kcal/100g, about 50% healthy fats and 25% protein. Use mixed nuts as snack & throw peanut butter on sandwiches for work/school. Olive Oil. Protects against heart diseases & cancer. Sip it like vodka (it's not that bad, really) or use it for tomato pasta sauce. 1tbsp is 100kcal. Juices If you are not in the mood for big meals or frequent feedings, creating drinks in the blender is the way to go. You can easily down several hundred calories in a few minutes while at the same time providing your body with a hefty dose of whole-food nutrients. Try this: Frozen bananas, a few spoonfuls of peanut butter, a couple of medjool dates, and unsweetened vanilla soymilk. Or mix up frozen strawberries, fresh mangos, brazil nuts, medjool dates, and unsweetened almond milk. If you are craving extra protein, toss in some hemp protein powder. You want to go from skinny to muscular, not from skinny to chubby. Get into strength training. More strength is more muscle. Physical activity can help induce hunger signals in your body, therefore encouraging you to eat more. After using energy for workouts, it only follows that you will need to replenish with food. Exercise is catabolic, meaning that tissue is being broken down. What builds it back up is the nutrition you put into your body. Think of your food as fuel. If you eat junk, your body will have difficulty using it to build and repair itself. If you eat wholesome, natural foods that are designed by nature rather than produced in factories, your body benefit significantly. Attempting to put weight on can be just as tough as trying to lose it. Remember to make sure you are feeding your body high-quality foods with which to build itself. And no, you do not need massive amounts of meat or protein powders to put on muscle. That is an old nutrition myth that refuses to die. Consider some of the largest, strongest animals like elephants, horses, and cows, all of who subsist on vegetation. Stick to eating mostly whole plant foods, keep your body active, and you will look amazing, feel incredible, and achieve your goal weight. Some tips keep in mind while doing exercise. (i)Free Weights. Force you to stabilize the weight and allow for natural motions. Start light, focus on technique and add weight progressively. (iii)Squat. Leg exercise stressing your whole body. When you can Squat 1.5x your body-weight for 1 rep, you'll no longer be skinny. Squat often. (iv)Rest. Muscle grow when you rest, not when you work out. Don't train daily. Sleep, drink 1 gallon water daily and eat fruits/veggies. Now you might have already tried many home remedies or medicine for this problem of underweight or lean body nature. But here are some easy and simple remedies which we have seen good results with our patients and other clients. You must first record your weight before starting this and record weekly on a particular day of a week for a month. 1]- Take 1tbsp of ghee and add 1tbsp of sugar to it mix and lick this mixture little by little in empty stomach just before lunch and dinner .and then after 30 mins you can have your meals. - Continue this for at least a month to see the benefits. 2]- Make a habit of consuming one well ripen banana with a cup of warm milk with 1 tsp of ghee mixed or stirred into it with little sugar .Here sugar is for taste. 3]- Make a habit of eating food in little quantity for every 2 hrs. Here we don’t mean junk food .May be fruits, vegetables, juices, dry fruits etc. 4]-Always eat well balanced food, which includes all the essential components including good fats also. 5]-Drink water after you meal at least 1 cup full. This will help for better digestion and also to gain weight. 6]- Boost up your appetite by working out daily for atleast 30 mins.May be brisk walk, or just a little bit of walking, dancing etc. 7]-Make a habit of taking a light nap after afternoon meal for about 30 mins to 1 hr. This will also help to gain weight. Try to get sound and good amount of sleep at nights too. 8]- Try to remain calm and happy. This contentment is really required because this is always related to mind .Body and mind are interlinked...So well balanced state of body with mind is called as a healthy condition or the man is called healthy. 9]-Eat soaked dry grapes or dates soaked in warm milk overnight .This should be taken empty stomach. It will also increase the Hb% .Thus you can get rid of Anemia with these methods. 2..Ashwagandhavaleha-This one more type of Avaleha which helps as a general tonic and given even better results in men. May be taken with warm water or milk. 3.Chavanprash-This is also a very good leha. Method of intake is same as other. It has many dry fruits, amla[gooseberry and many medicinal roots].Best for emaciation caused as a result of some chronic diseases. 5.Draksharista- 3tsp of this should be taken with equal amount of boiled and cooled water with a drop of honey thrice a day for atleast 1 month. 6.Ashwaganda choorna may be taken with ghee or honey or even milk thrice daily . 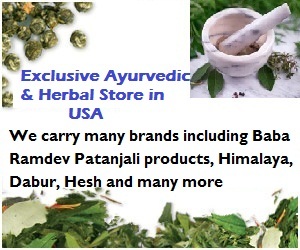 There are also various Ayurveda massages which will help you gain weight. These are done with special variety of rice mixed with herbs. These medicines are for your knowledge only. Do not take it without an Ayurveda doctor’s advice. For more information on these medicines and other details on gaining weight mail us at info@ayurwellness.in to discuss with our panel of doctors. It is believed that eating late at night is not good for health. But if you want to gain weight fast, you can eat a late-night high calorie snack. While your body metabolism does slow down at night, you are still using energy for basic bodily functions, and thus are still burning calories when you sleep.